In this technological area where every offline business is shifting towards online mode, it is really a challenging task to have a dynamically robust website. Today nonprofits look for website design and development solutions that work for their fundraising and outreach their needs. 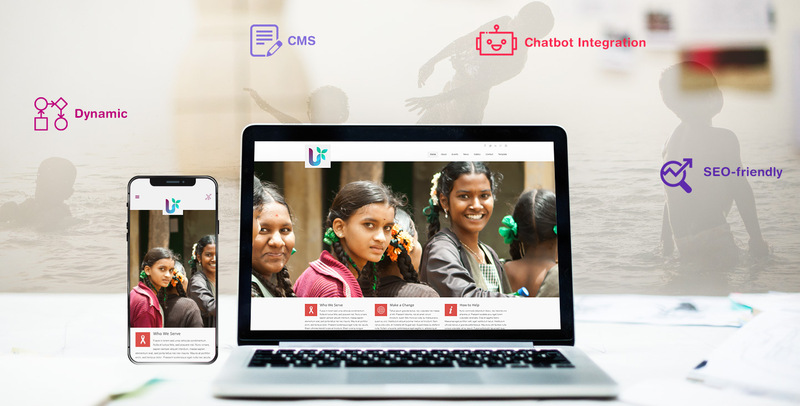 Nonprofit website developer understands the requirement for custom website design and hence targets to bridge the differences between the website design with the organizational brand to identify and aesthetics with usability and functionality. Therefore your website does not only looks great, however, is easy to use and contains all of the website design elements that your nonprofit organization needs to be successful on the web. A survey by Google revealed that mobile-optimized websites have a greater chance to appear higher on search results in comparison to than non-mobile-friendly website. This forced nonprofit organizations to make an investment on a mobile-friendly website. As the no of smartphone and tablet users are more, there’s a greater need to design websites that allow simple functionally and aesthetically on any screen size. Thus, the non-profit web design company focuses to create responsive and flexible designs optimized for mobile devices. Chatbots and voice user interfaces have come out to be a big trend last year and still continues to hold it’s dynamic presence. Effective communication is the foremost step in drawing the attention and support of the audience, and chatbot integration is offering an interactive platform to attract customers. Weather its NGO website development or other, it is highly recommended to a develop the website based on SEO favoring parameters so that it can scale up in the top search result list. SEO can be the game changer for your website if you properly manage keywords, links, description, meta-tag, and content with respect to the design and audience. For a nonprofit website a content management system stands out to be the central administrative system. With a CMS, managing some specific task of your websites like editing, updating and content management, becomes easy and simple. Thus, you can avail the most advanced content management system that meets the goals and needs of your nonprofit. The online presence for any website has become pivotal and, the more technology will advance, the more solution will door in for both the profitable and non-profitable organization to stand the test of time. Thus, if you are also a nonprofit organization, the above-mentioned website and development solution will help you to boot your online presence. Root Info Solutions is a leading web development firm that specializes in non profit web design and development. We provide high-quality, customized websites for nonprofits. NEXT POST Why Should Startups Focus on Android App Development?